There is nothing more heart-warming than when your child crawls into your lap with a new book in hand to read together. Family reading not only creates happy memories, but it has substantial benefits for both children and adults. ...[R]eading aloud to your children is one of the best ways to build a strong family bond. Reading books aloud also exposes your children to sophisticated words that can expand their vocabulary and improve their communication skills. Most importantly, family reading sets an example for kids to follow and teaches them to love reading at an early age—an invaluable gift. 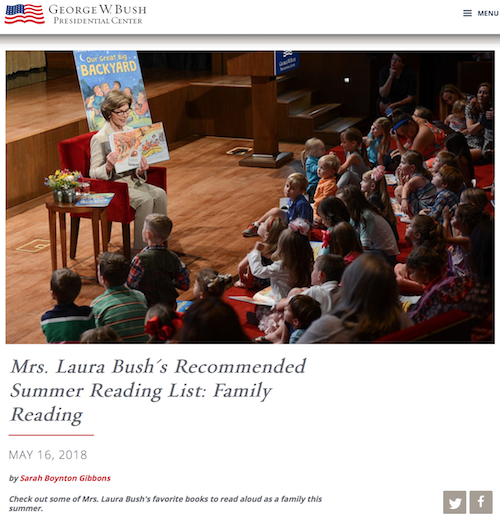 Summertime is a great moment to make reading as a family a priority..."